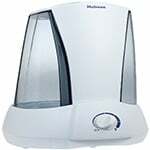 Keep air comfortable and stop white dust and mineral buildup around your humidifier with a replacement filter from Aprilaire, Honeywell, Holmes, Trion Air Bear and more. 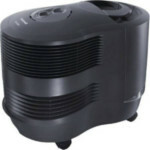 Houses with hard water have to deal with particles escaping into the air when using cool-mist humidifiers. These substances cling to surfaces and can be difficult to clean. With cool-mist humidifiers the filter not only keeps surfaces around your home clean but they are an important part of making the air humid. 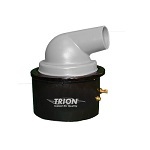 Old filters are often unable to continue absorbing water thus decreasing system efficiency.